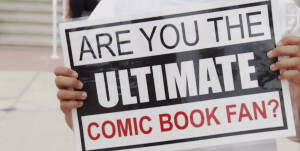 Hey, are you the Ultimate Comic Book Fan? 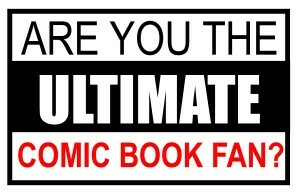 COMIX wants to know! Here are some awesome fans who let us know why they are the Ultimate Fan and why comics mean so much to them. The second of a three-part installment, you’re gonna’ like this one! It shouldn’t be a surprise that I, a comic book fan, wanted to meet and get to know other comic book fans for the filming of COMIX. I knew their stories were an essential part of the COMIX story. 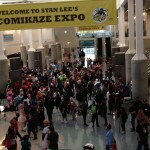 With crew in tow, we interviewed as many fans as we could at conventions like Comic-Con, Wonder-Con, Anime Expo, Wizard World, and Comikaze…and kept coming back for more! I knew that the fans are the driving force of these conventions, but what completely blew me away is their integrity, kindness, loyalty, sincerity, intelligence, and passion for the art form. These are the qualities that I admire and frankly, the fans have helped me to persevere over the last ten years. It is amazing how fans can be seen as geeks. What is a geek, anyway? I decided to look it up. A geek is described as “a boring and unattractive social misfit.” This can’t be further from the truth. 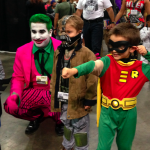 Consider that all of these conventions ARE places where interaction, in some form or another, whether in costume or not, are places where fans can socialize. There is nothing boring nor unattractive about those fans who have the courage not only to dress up but also have the intelligence to create their costume or their “look.” Their cosplay is indeed their expression of love. 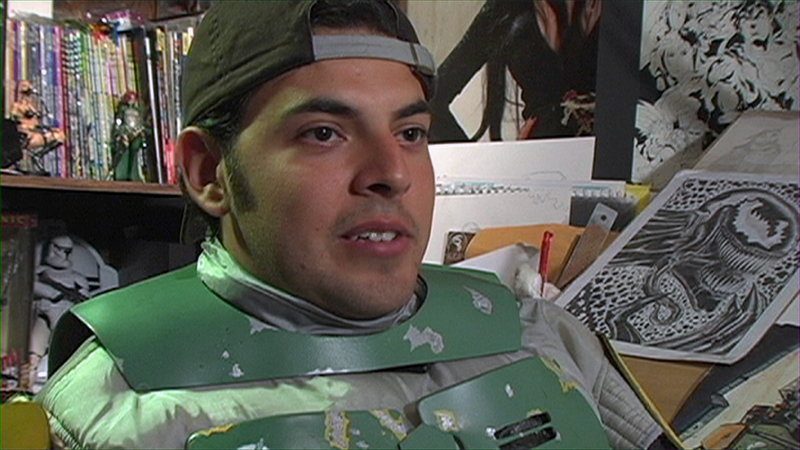 For instance, take Chris Gutierrez, a school teacher by day, a cosplayer by night. He makes his costumes from scratch and his attention to detail is genius. 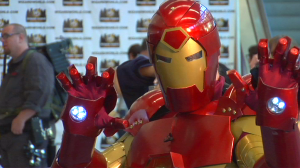 He talks about how he uses things like old carburetor parts from engines to make his costumes. Devotion and courageous-abandon are words that I would use to describe fans. They let their imaginations run free and are not afraid to express themselves and show loyalty to what they love. It’s these fans that any genre would be lucky to have. They are the reason that the phenomenon has become the phenom that it is. I am proud that they are a part of my film and to be one of them. COMIX KICKSTARTER FIRST WEEK UPDATE! 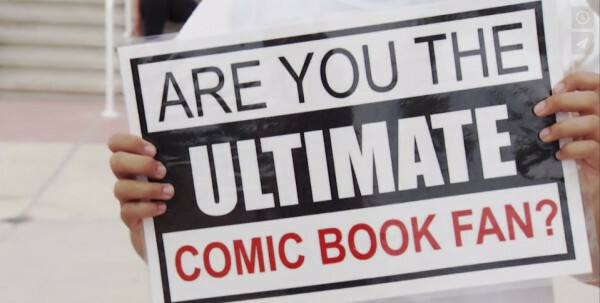 Taking a break from the movie, the COMIX team went to Comic-Con in San Diego and had a blast (like always), but this time, in search of the “Ultimate Comic Book Fan.” They interviewed many really cool fans who got to express why they felt they were the Ultimate Fan and why comics mean so much to them. This is the first of a three-part installment, and the fans are awesome! They are the real heroes of this world. 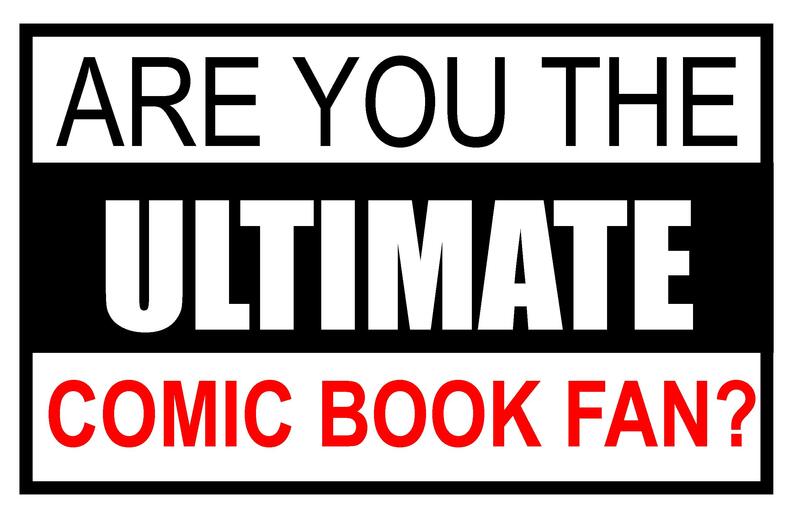 Are you the Ultimate Comic Book Fan? We intend to keep searching for the UCBFs so keep an eye out for us. My dream came true when I got the chance to sit across from Stan Lee. I worshipped every strand of Spider-Man when I was a kid and being given the chance to interview him was like interviewing a universal life force. 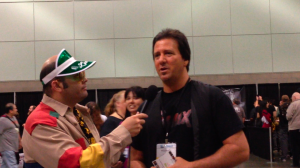 It was like interviewing…a Beatle!! 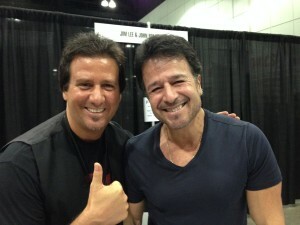 To hear all of his great stories about creating legendary characters was so inspiring and I felt like a kid again. Can you believe that he and other comic book icons like Frank Miller, Neal Adams, and Mark Waid are a part of this film?!? 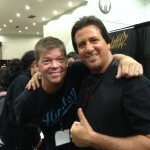 Stan is the nicest guy in the world and showed me nothing but kindness. When he agreed to be a part of this film, I had my A-ha! moment of knowing that COMIX was now bigger than me. I was making it for everyone who believed in the power of superheroes and comic books and knew there was no looking back. Stan was super nice, fun, fascinating, and energetic. He talked about creating Spider-Man and the Fantastic Four with such passion. He talked about all the legendary characters he created and the artists who helped him bring them to life. You could tell how proud he was of his career. Hearing and seeing him talk about how his publisher hated the idea of having the name Spider-Man as a superhero and doubting if Stan knew what a superhero was…and all I could saying to myself was, “Are you kidding me?” If ANYone knows who a superhero is, it’s Stan “The Man” Lee! 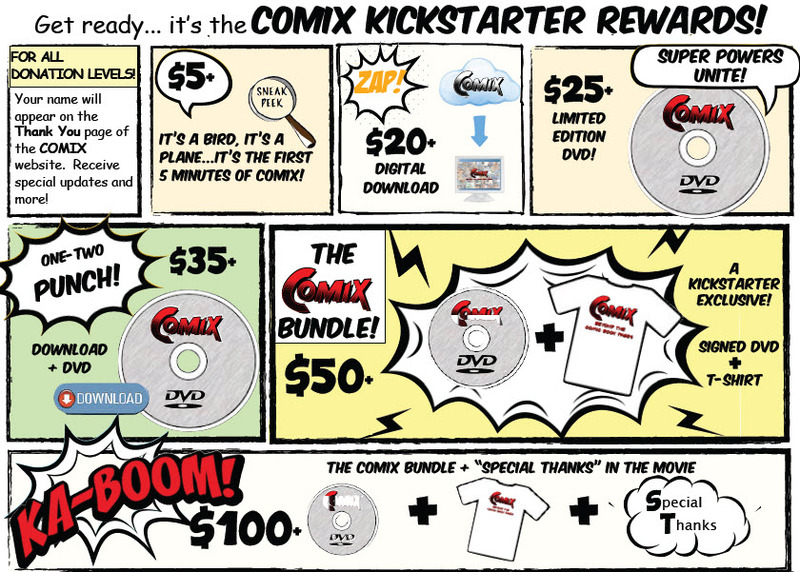 PLEASE SUPPORT COMIX THE MOVIE! I have always loved comic books. About ten years ago, I had an idea to make a comic book. 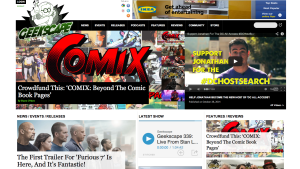 This idea led me to create the feature documentary film, COMIX: Beyond the Comic Book Pages which is about comic books and the phenomenon surrounding them. I wanted to make a film about the heroes of the comic book world: creators, artists, writers, publishers, store owners, and especially the fans, many whom I found were just like me. To be honest, it’s taken ten years to make this film because I have actually funded all of it on my own. I have invested tens and tens of thousands into this movie and am now at a point where I need help to finish the color correction, sound mix, and to pay for the use of hundreds of amazing comic book images that are crucial in telling the story. I am hoping that you will consider being a part of a film that I believe is special. Our goal is to raise $35,000 in 30 days. The way Kickstarter works is it is all or nothing. In other words, if we don’t reach our goal during the 30 day funding period, we get nothing. 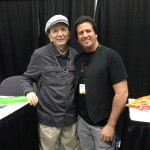 This is where you come in, a true fan and COMIX crusader! We are offering some pretty cool rewards, including being the first to own the movie on up to being an Associate Producer, so please support our campaign! Please…help fund COMIX and just as important, please share this message with everyone you know. The late 80’s and early ‘90s were a turning point for comics. 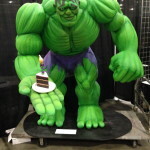 Independent comic book publishers came into the scene with the idea that creators could publish their comic books and retain the copyrights for the characters they created. 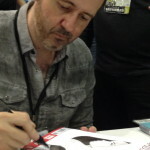 Image Comics began with a vision of seven artists who had already made a name for themselves in the industry – Marc Silvestri along with Todd McFarlane, Jim Lee, Whilce Portacio, Rob Liefeld, Erik Larsen, and Jim Valentino. Their vision was to do something different by breaking away from the mainstream and creating unique characters that they owned. It was Image Comics, as well as companies like Dark Horse Comics, that forged the spirit of independence in comic books, which, up to that time, was mainly led by the two largest comic book publishers, Marvel and DC Comics. One of my all-time favorite comic book artists is Marc Silvestri. Some of my favorite early works from him are Uncanny X-Men and Wolverine. 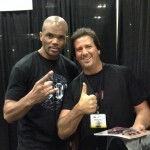 Marc also founded Top Cow Productions. Top Cow’s successes include Witchblade, The Darkness, Tomb Raider, Hunter Killer, and more. One of the earliest interviews we did for the film was at Top Cow Productions studios in Century City. 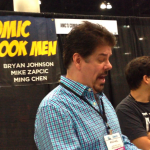 We interviewed President/COO Matt Hawkins, then Editor-In-Chief Renae Geerlings, artist Mike Choi, and many others, but on that day, I did not get a chance to interview Marc Silvestri. 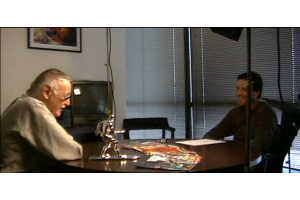 For the next few years, our schedules did not align for an interview, but I was persistent and really wanted to connect with him, not only as a huge fan, but because I knew how important his contributions helped shape the face of independent comics into the mainstream. I was hanging on his every word. I can’t thank him and his team enough for being a part of this film. Marc Silvestri and Top Cow Productions, in support of COMIX, has also kindly provided some of the amazing rewards for our Kickstarter campaign including some amazing limited-edition and numbered hand-painted statues sculpted by Clayburn Moore. One of the rewards is “Hunter Killer” signed by Marc and writer Mark Waid. Artist, Writer, Penciler, and Inker Amanda Conner is one of my favorite and one of the most talented comic book artists in the business today. I love her work on Vampirella. How would I describe her art? She says it best, it’s “fun, irreverent and out there” and it is truly refreshing! 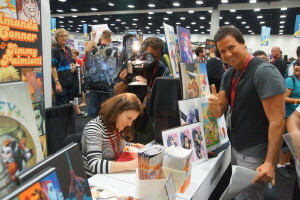 Amanda is probably best known for her work on Powergirl and Gatecrasher. I highly recommend you check out her work. Amanda is so sweet, kind, and really great with her fans. She stops and talks to each and everyone of them. 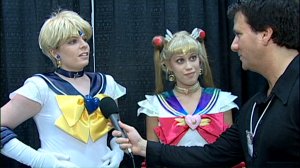 It was an honor to get my chance to interview her at Wizard World in Los Angeles. She shared some great insights in the film that I can’t wait for everyone to see. When asked why there are so few females in the business, she said candidly, “Just doing comics itself, it’s definitely a labor of love. And there are some women that love it…all nine of us! (she laughs).” She offers a lot of wisdom and advice in the film, you gotta’ see it! Amanda was kind enough to sign and sketch in her hard cover book, “Sequential Art of Amanda Conner” for our Kickstarter campaign which launches next Wednesday, October 15. 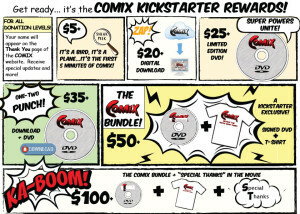 For more information, visit www.comixthemovie.com and to receive COMIX news and updates, click here.